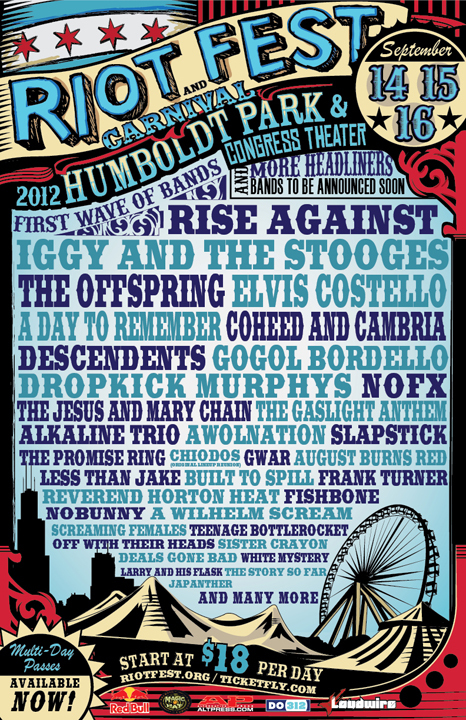 Riot Fest and Carnival has announced their 2012 lineup for September 14th-16th. For the first time, the festival will be taking place outdoors at Humboldt Park and Congress Theater in Chicago, and tickets start at $18 a day. For the eighth year in a row, Riot Fest will be showcasing a variety of rock, indie, punk, and underground artists. Michael Petryshyn and Sean McKeough launched the first Riot Fest back in 2005, and since then it has managed to bring together music fans of all ages to celebrate rock, indie, and punk. They intend to create the best live experience for fans from 14 to 40. Make sure to get your tickets now before the prices go up. 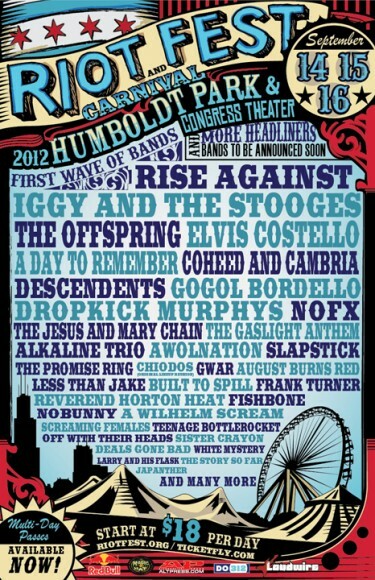 Tickets are available at www.riotfest.org. 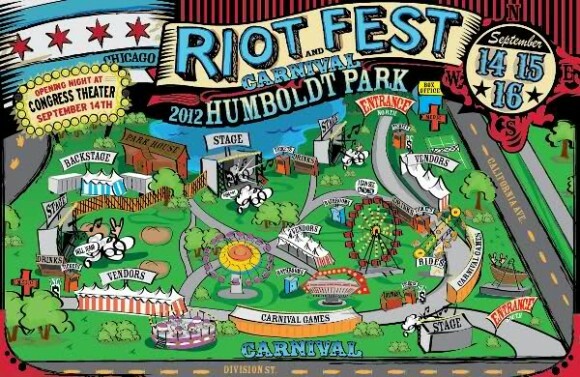 Check out the map of Humboldt Park below to make sure you don’t get lost!